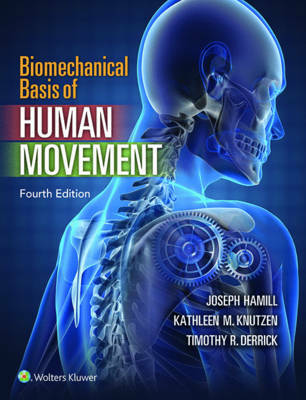 Focusing on the quantitative nature of biomechanics, Biomechanical Basis of Movement, Fourth Edition integrates current literature, meaningful numerical examples, relevant applications, hands-on exercises, and functional anatomy, physics, calculus, and physiology to help studentsregardless of their mathematical background understand the full continuum of human movement potential. Unique in the market for its combination of rigor, readability, and evidence-based information, the book focuses on the movement of muscle groups rather than individual muscles to provide students with a holistic understanding of human movement. This Fourth Edition features a new problem generator for instructors, which randomly generates an unlimited number of numerical problems for student practice, and free MaxTRAQ motion analysis software that shows biomechanics in action and allows students to track data and analyze motion in a in a dynamic, video-enriched online environment.